Here is a photo, haitian-dominican fashion show, taken as young Haitian-Dominican models perform at a fashion show during the First Annual Santo domingo Konpa Festival in 2007. 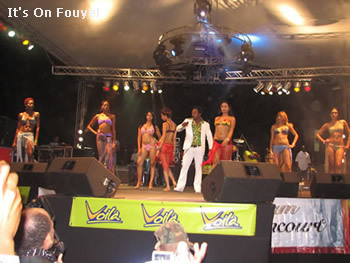 The Haitian compas festival was held at the The Estadio Quisqueya, Av. Tiradentes & San Cristobal, Santo Domingo.